This is a little painting I recently did on the Bellarine Peninsula and looking at it brings an instant recall of the peaceful feeling I had whilst painting. The feeling of warm autumn sunshine on my skin, a gentle breeze and the sound and sight of big flocks of birds gathering to start their migration to warmer, northern climes. 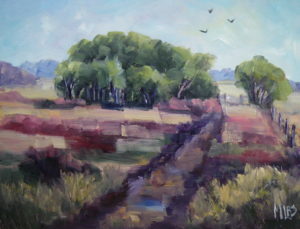 My love of the outdoors has naturally led to a love of painting Australian scenes en plein air. 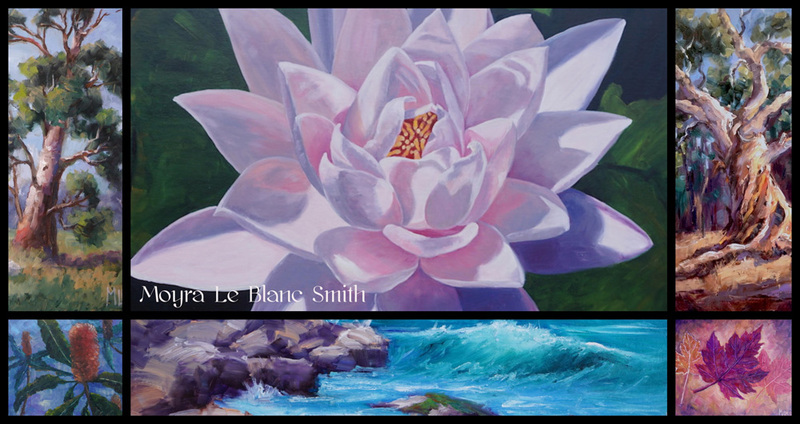 Inspiration for paintings often happens on my travels, resulting in paintings such as the ones below, which were created on trips around Australia and close to home on the Surf Coast, Otways National Park and the Bellarine Peninsula. 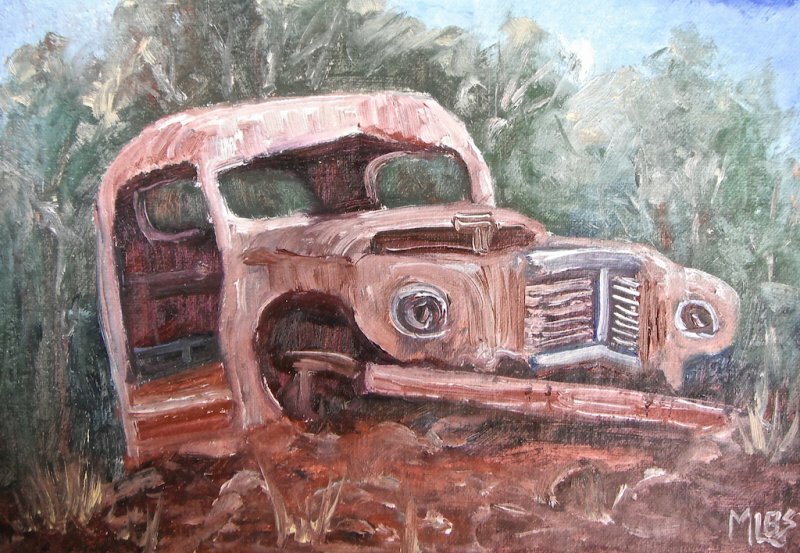 My oil paints accompany me on all my trips nowadays and are at the ready to create a painting.